Check out the latest cloud computing graphics recently added to Get My Graphic with a few suggestions for how to use them. 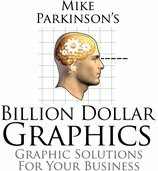 These PowerPoint graphics are just a select few of the 200+ new graphics added in April to Get My Graphic. All are editable in PowerPoint 2007 or newer. The dome represents security. 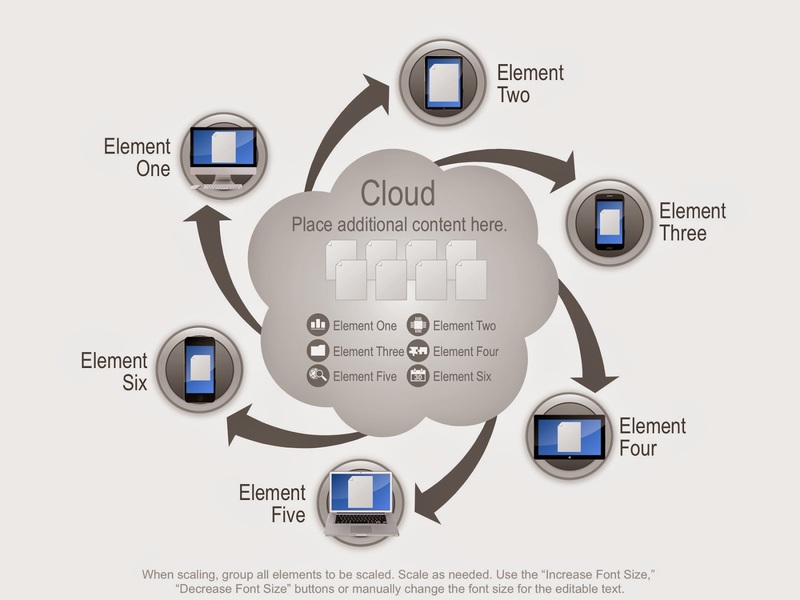 Elements under the dome are grouped together on a secure cloud network where the electronic devices have been placed. The dome and other elements can be removed and colorized and the text is fully editable. Both of these Hub and Spoke graphics show storage of data in the cloud and how this data is distributed to electronic devices from the cloud. The text is fully editable and the elements can be deleted, animated, and colorized as needed. Use this editable tablet computer or smart phone icon to display your digital information, data storage, or new company applications. The text is fully editable and the elements can be deleted and colorized as needed. 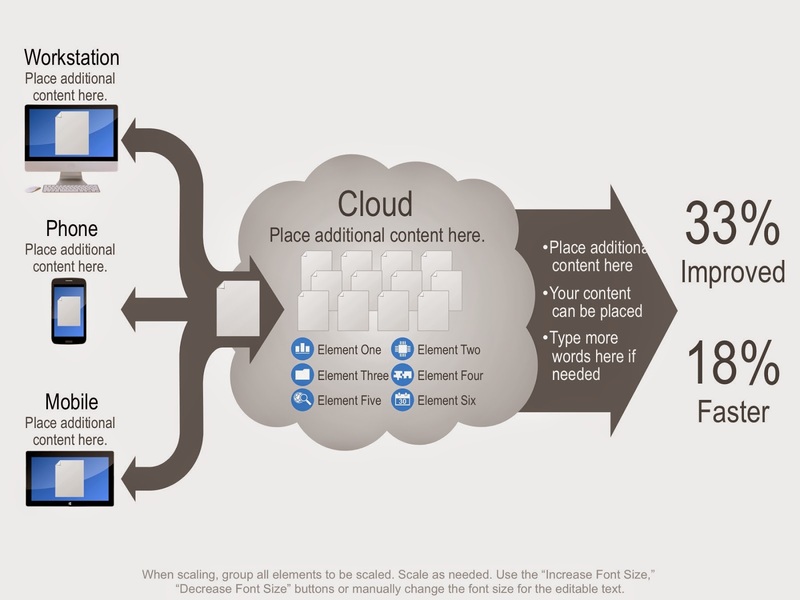 These process graphics show data uploading to and downloading from the cloud. 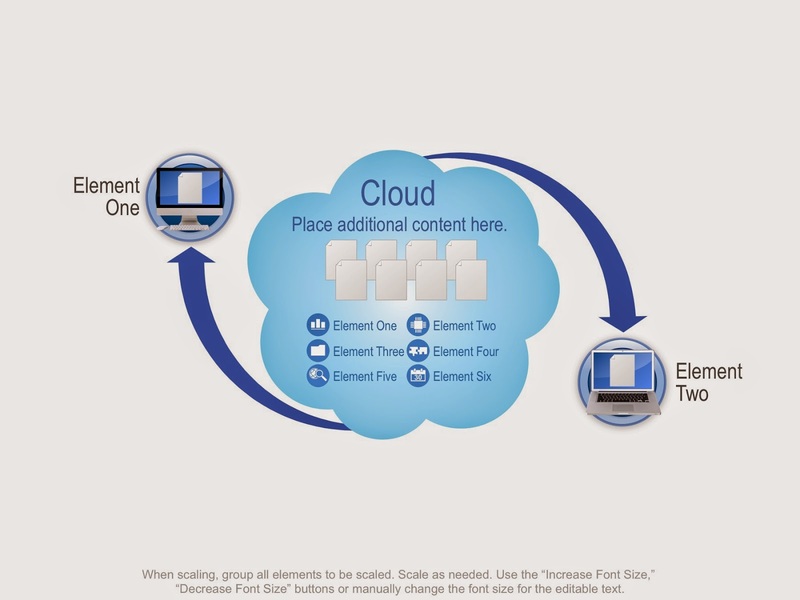 The icons inside the cloud represent various forms of data being uploaded and stored inside the cloud. The text is fully editable and the elements can be deleted, animated, and colorized as needed. 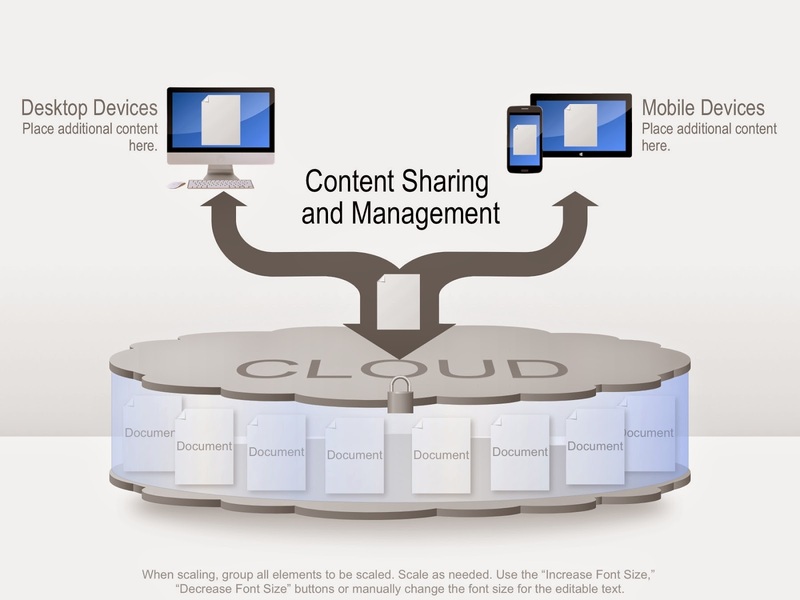 This stacked graphic shows the structure of documents stored securely in the cloud and content being uploaded to and downloaded from the cloud to desktop and mobile devices. 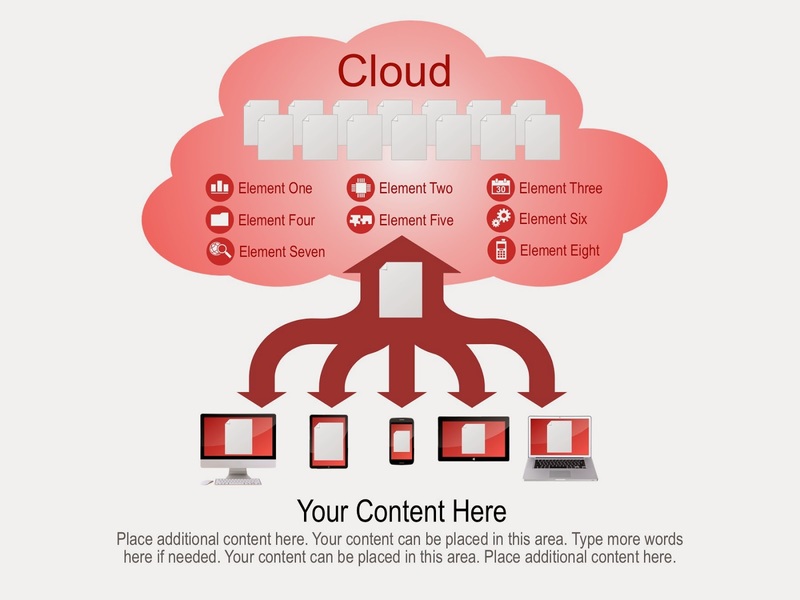 Use this graphic to represent content sharing and management. The text is fully editable and the elements can be deleted, animated, and colorized as needed.